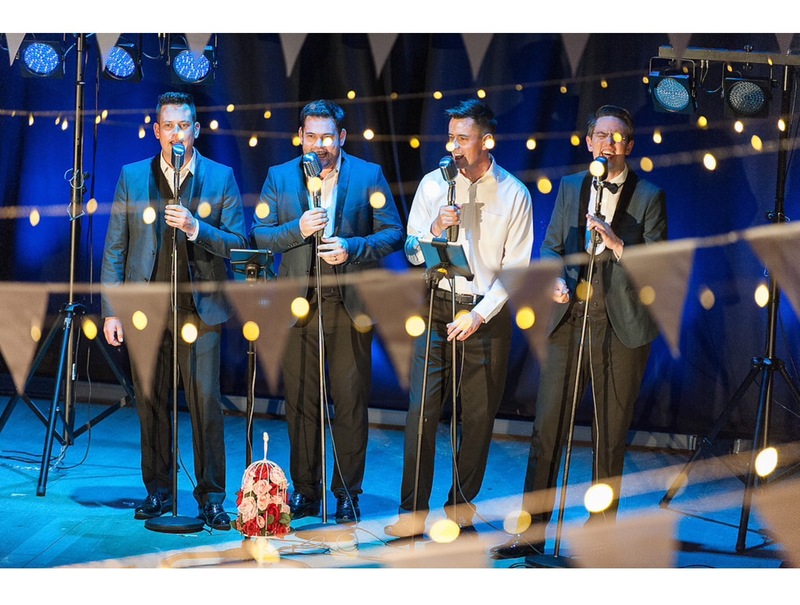 The TestostaTones are the UK’s premier Acapella Doo-Wop Group and have played at over 500 weddings and 1,000 corporate events. They are a fun and energetic vocal group specialising in classic ’50s Doo-Wop and fun, confident arrangements of contemporary songs and 1990’s classics, all delivered with harmony and style. The group are in rude health with an original style that has seen them described as “the missing song from a Martin Scorcese movie soundtrack” and are suitable for staged and featured performances at any type of event, unexpected surprise performances (wedding crashers in the style of ‘Love Actually’) or mix and mingle roaming sets for weddings or corporate events. The TestostaTones cover such classic songs as EARTH ANGEL, BLUE MOON and WHY DO FOOLS FALL IN LOVE among others but also make bespoke and quirky arrangements of modern and contemporary including UPTOWN FUNK, CAN’T STOP THE FEELING and SYMPHONY as well as ’90s classics; HIT ME BABY ONE MORE TIME, NO DIGGITY and ICE, ICE BABY among others.